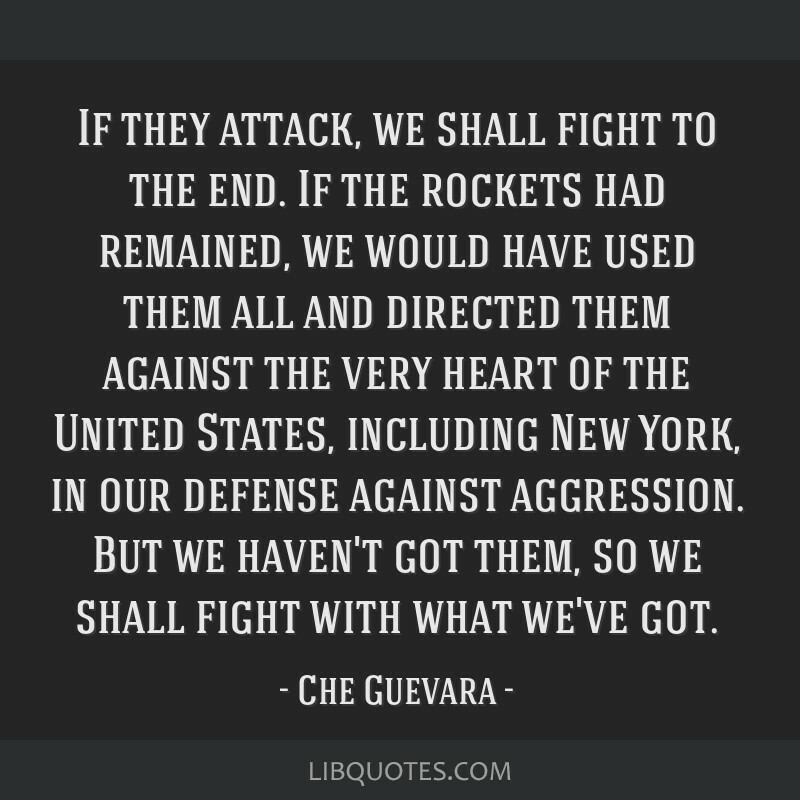 If they attack, we shall fight to the end. 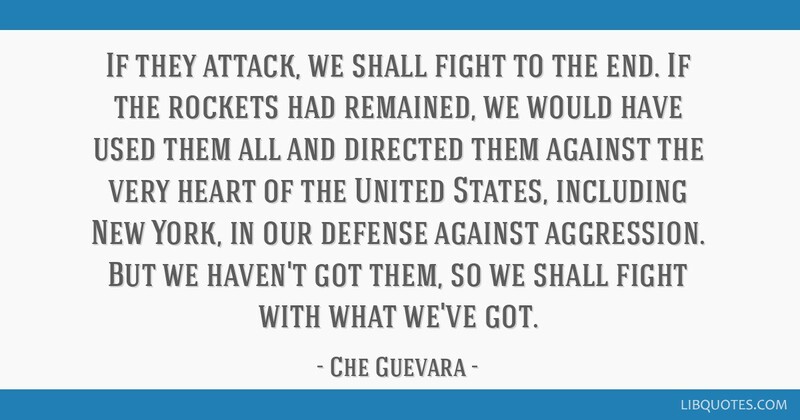 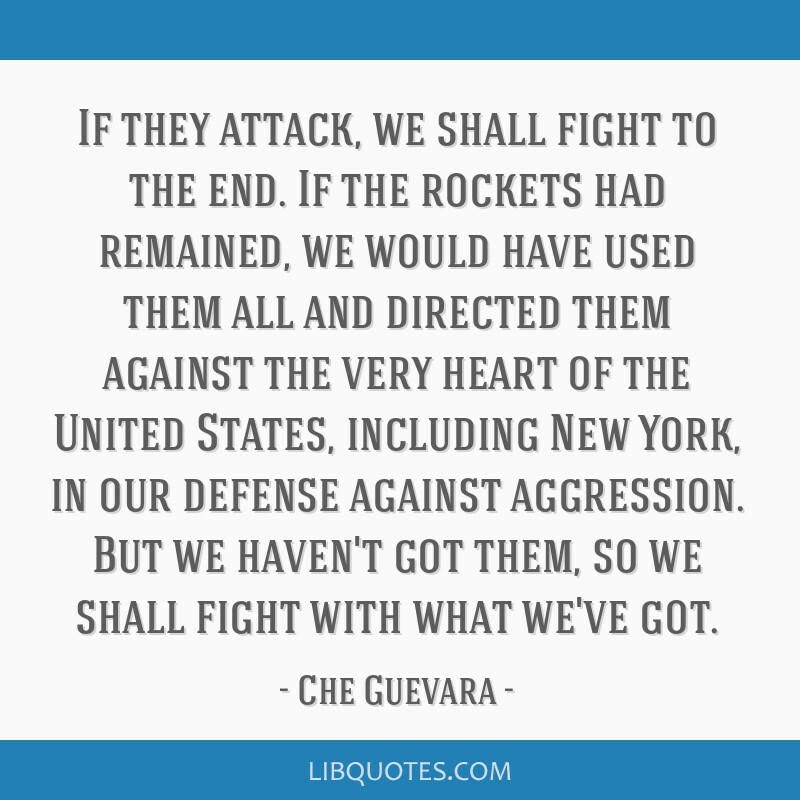 If the rockets had remained, we would have used them all and directed them against the very heart of the United States, including New York, in our defense against aggression. 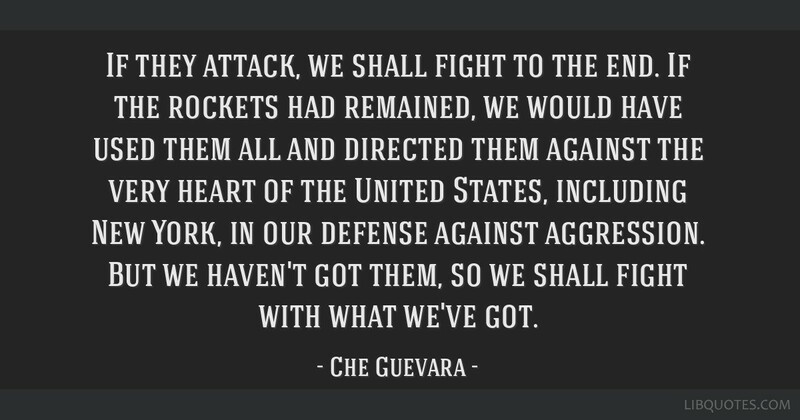 But we haven't got them, so we shall fight with what we've got.